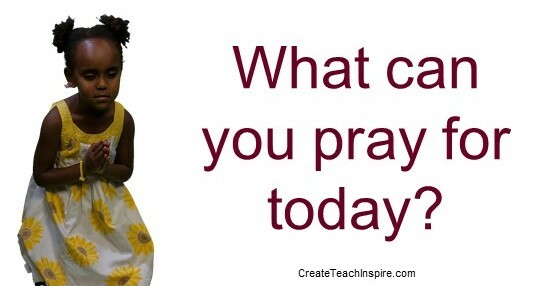 What can I pray for today? - Create! Teach! Inspire! One of the keys to living a joyful life is prayer. Go to God in prayer every day. Do this not just when you need something, not just when you’re on autopilot and chanting a quick prayer while you’re thinking of something else, but have a focused, purposeful time of prayer every day. What can you pray for today? In no particular order, here are some suggestions. Who or what else can you pray for? Please share in the comments below.